The hair on the back of my neck stood up. My personal information had been exposed in the Equifax data breach, but up till this point, I wasn't sure it was being used for nefarious activities. Now I knew for sure it was. If my credit card had been stolen, I could simply get a new card with a new number...problem solved. But my Social Security number? Those four digits? Those numbers will never change and are so closely woven into the fabric of my life, that knowing they were vulnerable to abuse made me angry, then determined to protect them, and myself, from further harm. Initiate security freezes on your credit reports with Experian, Equifax, and TransUnion. A security freeze prevents unauthorized access to your credit report so no new credit can be opened in your name. It also means if you apply for credit, you'll need to lift the freezes for legitimate credit checks. Each credit bureau has specific steps you'll need to follow to unfreeze your credit report before you (legitimately) apply for a loan, credit card, or mortgage. Some good news, however: placing a security freeze at all three bureaus is free thanks to a relatively new federal law. Check your credit reports for suspicious activity. You can access your credit reports at the three major credit reporting bureaus once a year at no cost through AnnualCreditReport. Even if you have credit freezes in place, you can still get your annual credit reports without lifting the freezes. Review your Social Security statement for suspicious activity. You'll want to make sure your Social Security number isn't being used by someone else for employment purposes. To review your statement online, establish an account at the Social Security Administration. If the numbers don't look right, contact the Social Security Administration's Fraud Hotline at (800) 269-0271. Initiate a fraud alert at the three major credit bureaus. The same week I received the call from the scammer, someone tried to hack into my Gmail account from Jamaica. That was incentive enough for me to initiate a fraud alert through TransUnion, which then contacted Experian and Equifax on my behalf. 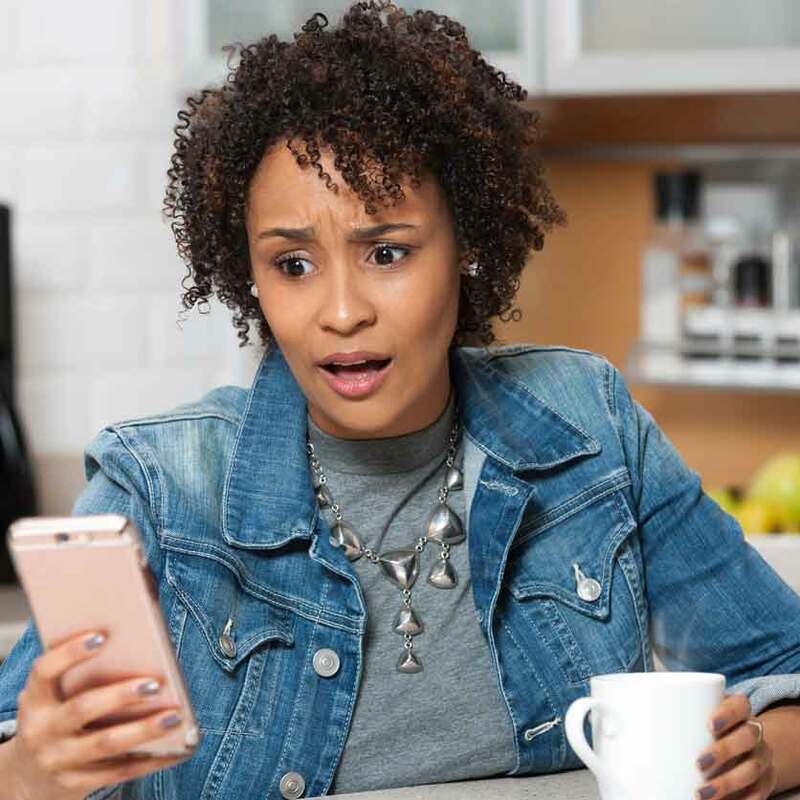 You don't have to be a victim of ID theft to request an alert...you may want to do it if you know your personal information was exposed in a data breach or if you lost your Social Security card. Bonus: it's free, you'll be entitled to a free credit report (in addition to the free one you get through AnnualCreditReport), and when you place an alert with one bureau, they'll inform the other two bureaus for you. What does a fraud alert do? It lasts a year and it makes it even harder for anyone to open up credit in your name...your identity must be more thoroughly vetted by a business before credit can be issued. While it means no more instant approval credit cards at retailers and more hoop-jumping when applying for loans, it's a small price to pay for peace of mind. Check your credit reports regularly. At least once a month, I check my credit score through apps like Credit Karma and WalletHub, as well as take advantage of the free credit reports I get through two of my credit cards. I can spot anything that looks dicey−a late payment on a card I don't remember opening, a credit check I didn't authorize−and hop right on it before any further damage is done. Leave your Social Security card at home. I spoke with a security expert a few years ago who said he's surprised by the number of people he meets who think they need to have that card in their wallet at all times. Rarely will any legitimate organization ask to see the card as a form of ID; instead, they'll want to see a driver's license, military ID, or passport. Memorize your number and leave the card at home locked in a safe, secure place. Change your passwords and PINs, especially on your financial accounts. I became a password manager convert after we published a blog post on how they can keep your web accounts more secure. The password manager I use makes it a cinch to create random, hard-to-crack passwords. All I have to remember is a secret master password, one that's easy for me to remember but difficult for a fraudster to figure out. After my scary encounter with the phone scammer who knew the last four digits of my Social Security number, I spoke with Denise Bouchard, Hanscom FCU's information security officer, and told her what steps I'd taken to further protect my personal information. She reminded me how important it is to remain wary when someone calls and starts asking for confidential information, like a Social Security number, credit card number, or bank account numbers. "When you haven't been the one to initiate the conversation, it's never a good idea to give out any personal information," Bouchard said. "If the person who called you is asking for it, respectfully hang up and call them back on a number you saved on your device or have looked up yourself. Legitimate companies are used to this and won't get offended if you take precautions."